The Waffen-SS: organization of terror? During he Second World War the troops of the Waffen-SS were feared because of their ruthlessness, cruelty and fanatical battle-readiness. A myth was established around the Waffen-SS as a politically oriented elite corps which did not know any limits in their fighting for the national socialism. The Waffen-SS troops were unconditionally faithful to Adolf Hitler and to their leaders, which was emphasized by their motto: “Meine Ehre heisst Treue” [My honor is called faithfulness]. When after the war the facts about the Waffen-SS more and more replaced the myth, it appeared that the Waffen-SS was not at all the political elite troop that many had estimated it to be. In this article the myth will be defaced and a picture will be presented of the development of the Waffen-SS into a heterogeneous organization in which many nationalities were fighting in service of the national socialistic system. It will be made clear that a unanimous judgment about the Waffen-SS cannot be made because the differences between the various units of the Waffen-SS were so significant. Next to that fact, the organization underwent so many changes in the course of its existence that a judgment about the Waffen-SS not only differs per unit but also in time. This article has focused on the changes within this armed forces of the SS and its different units. Next to that, much attention has been paid to the various battles of the Waffen-SS and the war crimes that were committed by this organization. The article will mainly paint a general picture of the history of the Waffen-SS and will not enter into all details. The Waffen-SS was such a complex and multi sided organization that it would be impossible to present its comprehensive history. Klik hier voor de Nederlandstalige versie van dit artikel. -	Leibstandarte “Adolf Hitler” [a security unit for the leader: ‘body guard’]. The SS-Verfügungstruppen were developed in 1934 and were partly created from ‘political troops on stand-by’ [Politischen Bereitschaften] and ‘special commando troops’ [Sonder-kommando]. On 24 September, 1934, the then Minister of War, Werner Blomberg, agreed with the founding of the SS-VT which consisted of three regiments. Because of this agreement of the minister, the monopoly of all armed forces [Wehrmacht] to carry arms was broken up. From the Politischen Bereitschaften Württemberg und München the “SS-Standarte Deutschland” (1) was formed. In the same period the base was laid for the “SS-Standarte Germania” (2). In march 1933 the Leibstandarte “Adolf Hitler” was founded from the Stabswache “Berlin” (3). The Stabswache “Berlin”, under command of Josef Dietrich, was charged with the protection of Adolf Hitler and several men in this protection unit had once served in the Stoßtrupp “Adolf Hitler”. The Leibstandarte “Adolf Hitler” existed in the beginning out of 120 men and stayed under the command of Dietrich. Finally the Leibstandarte “Adolf Hitler” was absorbed in the the SS-VT. As of 1934 the unit was known as “Leibstandarte-SS “Adolf Hitler”. The unit stayed responsible for the protection of Adolf Hitler, but also received a military function. The SS-Standarte “Deutschland” and the Leibstandarte-SS “Adolf Hitler” participated in 1936 in the occupation of the Rhineland and marched together with the Army into Austria after the annexation of that country [Anschluss] in 1938. In March 1938 in Vienna the “SS-Standarte 3” was founded, later on transformed into SS-Standarte “Der Führer” and was from that moment onwards also part of the SS-VT. Next to the three mentioned Standarten. Also other departments like an intelligence service formed part of the SS-VT. The SS-VT consisted of conscripts that volunteered and were selected in accordance with ideological criteria of the Party and the SS. The command of the SS-VT was twofold. If the units were charged with tasks concerning the internal security, they were under direct command by Reichsführer-SS Himmler. The supreme command of the Wehrmacht (OKW ) however exercised the command of the units when the SS-VT were part of the battle forces. In case of mobilization, Hitler could order the SS-VT to be called up for battle services. Such decision would be weighed against the situation of the internal political situation in the Reich of that moment. After the SS-VT were engaged in the occupation of Sudetenland in October 1938, the existing military formations were motorized and new units were formed. The arming of the SS-VT however was a problem as the Minister of War, Blomberg, refused to equip the SS-VT with heavy weaponry and tried his best to prevent the SS-VT becoming a serious contender of the Wehrmacht. In the meantime the SS-VT had outgrown their image of a group of badly trained amateurs. Especially the East Prussian Captain Felix Steiner played an important part in the development of the SS-VT into effective military formations. He entertained revolutionary ideas and theories about a totally mobilized war effort, which were practiced within the SS-VT, but which were despised by the traditional officer’s school. In May 1939 Hitler and his Generals of the Army [Heer] attended a demonstration of the SS-Standarte “Deutschland”. Both Hitler and the Generals were impressed and on August 17th 1938, Hitler issued a decree ordering the SS-VT to be transformed into a fully fledged division equipped with heavy weaponry. Von Blomberg and the supreme commander of the German army, Werner von Fritsch, had both retired for personal reasons. Hitler had nominated himself as the supreme commander of the army and Wilhelm Keitel, who did anything ordered by his Führer, became chief of staff of the OKW. Hitler ordered Keitel to supply the necessary equipment. Himmler’s plans to develop a military branch within the SS had regularly been frustrated by Blomberg and higher ranking army officers, but finally he could develop the basis of the Waffen-SS. The SS-VT fought side by side with the Wehrmacht during the invasion in Poland in September 1939. The battle units of the SS-VT hardly differed from the troops of the army. Generaloberst Johannes Blaskowitz was of the opinion that Leibstandarte “Adolf Hitler” was “an average unit, still inexperienced, but nothing special”. Another army general expressed his dissatisfaction with the brute actions of this regiment. According to him troops of this regiment had been shooting around indifferently and had ‘routinely’ burnt down Polish villages. The men of the SS-VT had gained a reputation by their motivation and courage but had also suffered enormous losses because of their total contempt of death. Generals of the army complained about the fact that SS officers treated the lives of their men too nonchalantly. Theodor Eicke, commander of the “Totenkopf Division” had his motto realized, to carry on aggressively, and in that context big losses did not play a role at all according to him. Another complaint by the army was that the SS-VT troops had not been trained to carry out complicated missions. Also they were of the opinion that the units did not adjust themselves to the divisions of the army to which they had been joined. And one was shocked by the war crimes committed by the SS-VT and the special commando troops, the “Einsatzgruppen”. However these complaints would not prevent Himmler to develop his private army even further. The SS-VT were expanded with tens of thousands of members of the general SS and police reinforcements were transferred to battle groups. 1. The SS-Standarte “Deutschland” was established as the “SS-Standarte 2 / VT” then was changed into “SS-Standarte 1 / VT” and finally received the name “Deutschland”. The change from number 2 to number 1 took place as Hitler decided that SS-Leibstandarte “Adolf Hitler” was not part of the numbering system. 2. The SS-Standarte “Germania” was established as the SS-Standarte 3 / VT and was consequently changed into SS-Standarte 2 / VT and received finally the name SS-Standarte “Germania” The change from number 3 to number 2 took place as Hitler decided that SS-Leibstandarte “Adolf Hitler” was not part of the numbering system. 3. The change from the Stabwache “Berlin” into the SS-Leibstandarte “Adolf Hitler” was not immediately. The Stabwache “Berlin” firstly was changed into the SS-Sonderkommando Zossen. At the same time the SS-Sonderkommando Jüterborg“ was founded. The joining of both Sonderkommandoes resulted in the establishment of the SS-Leibstandarte “Adolf Hitler”. Special forces, deployed especially for missions behind enemy lines such as sabotage and reconnaissance. The capital of the Third Reich after the war. Designed by Albert Speer, but never realised. Elite troops, originally Hitler’s body guards. Starting as a motorized infantry regiment it grew into a Panzer division. Paramilitary unit, about the size of a regiment, within the Sturmabteilung (SA) and Schutzstaffel (SS). Hitler and Himmler inspect the SS-Leibstandarte Adolf Hitler during the State-party-day in 1939. Bron: USHMM. Up till 1939 the troops of the Totenkopfverbände, headed by Theodor Eicke, were only employed to guard the concentration camps. At the invasion of Poland the SS-Totenkopfstandart “Oberbayern“, SS-Totenkopfstandart “Thüringen” and SS-Totenkopfstandart “Brandenburg” were deployed behind the frontline for so-called liberation and clearing actions by “Einsatzgruppen”. Many Polish intellectuals and other civilians were eliminated by Eicke’s men. The Totenkopfverbände made thousands of victims during their first deployment. This was however only a beginning of what was to follow. The SS-Leibstandarte “Adolf Hitler” under Josef Dietrich remained a separate motorized regiment which was transformed into a division. In October 1943 this division was converted into the 1.SS-Panzer-Division SS-Leibstandarte “Adolf Hitler”. The existing SS-VT Standarts “Deutschland”, “Germania” and “Der Führer” were assembled into the motorized SS-Division Verfügungstruppe, of which the name later on was changed into “Das Reich”. In October 1943 this division became the 2.SS-Panzer-Division “Das Reich”. The Totenkopf-Division consisted of units from Eicke’s concentration camp guards who became replaced in the camps by men that were too young, too old or for other reasons not fit to fight. Officially, from April 1941, all Totenkopfverbände would become part of the Waffen-SS. From 1943 this division was known under the name 3.SS-Panzer-Division “Totenkopf”. In September 1940 the Police Division was formed from the troops of the regular police forces, the Ordnungspolizei. Only in February 1942, this division received the pre-fix SS and therefore officially became only then part of the Waffen-SS. In October 1943 this division was converted into the 4.SS-Polizei-Panzergrenadier-Division. By the end of 1939 the Waffen-SS counted 56,000 men excluding the Totenkopfverbände. By founding the Waffen-SS, Himmler had succeeded to transform the SS into a comprehensive corps in which now also front soldiers served. Within the total of the SS, the Waffen-SS had outgrown the status of auxiliary troops that only would be deployed in emergency cases. The Waffen-SS had become a political army that not only would be used in favor of internal security, as was the original purpose of the SS, but also at the frontline in battle against soldiers of enemy states. Although the Waffen-SS developed into an extensive branch within the total SS organization it remained closely related to the complete organization; also the ideology of the SS was maintained and spread all trough the Waffen-SS. Amongst other things, the command, the recruitment, training, provisioning and the administration of the Waffen-SS were in the hands of the governmental-SS management [Reichsführung-SS]. All officers of the SS, so both members of the Waffen-SS and of the general SS, received the same training and education at the so-called Junkerschulen. The first Junkerschulen were established at Bad Tolz and in Braunschweig. Next to military training there was also lecturing in world-contemplative-education [Weltanschauliche Erziehung] , SS and police matters [SS-und Polizeiwesen] and management structures [Verwaltungswesen]. For admission to both these Junkerschulen and to the Waffen-SS, strong selection criteria were applied. An Aryan-descent proof had to be available, going back all the way to 1800. National-socialist schools where SS-men were educated to the rank of officer within the organisation. Theodore Eicke (left) with his men of the SS-Totenkopf-Division. Propaganda poster of the Waffen-SS. The "SS-Division Verfügungstruppe", the SS-Leibstandarte "Adolf Hitler" and the "SS-Totenkopfdivision" were committed as part of the army during the German offensive in the West (Fall Gelb). Certain units were only held back in reserve. Himmler had available three and a half divisions during Fall Gelb which was next to nothing in comparison with the 157 divisions of the Wehrmacht. In the meantime all SS divisions had been completely motorized with the exception of the Polizei-Division. Because of its limited size, the Waffen-SS did not play a significant part during the offensive in general but it did on a local level. The SS-VT Standart "Der Führer" for example was able with four battalions to stop a counter attack by the Dutch army on the Grebbeberg on May 13, 1940, and to capture Achterberg. They achieved this with only 22 casualties. In France on the contrary, they suffered heavy losses. During the campaign in the West the front soldiers were not followed immediately by the Einsatzgruppen of the SS, but that did not mean that there were no war crimes being committed. On 27 May, about 100 soldiers of the 2nd Batallion of the Royal Norfolk Regiment surrendered in Le Paradis, close to Béthune in the northwest of France, to a unit of the SS-Totenkopf-Division. The prisoners of war were executed with machine guns. One day later a company of the SS-Leibstandarte "Adolf Hitler" drove a number of British prisoners of war into a farmer’s barn in Wormhout, near Dunkirk. The SS troops threw hand grenades into the barn and opened fire on the unarmed prisoners. Many higher ranking army officers were outraged about this violation of the convention. Not a single member of any of the Waffen-SS units was ever charged by a military court nor was ever punished disciplinarily. Later on he leader of the company in Wormhout was even promoted to command a complete SS-Division. In the meantime the Waffen-SS had increased to over 100,000 members whilst the SS-VT during the invasion of Poland in total comprised only some 23,000 men. Compared with three million men of the Wehrmacht the Waffen-SS was only a small force and the generals of the Wehrmacht would prefer to keep it that way. They saw the political army of Himmler still as a big rival and felt more and more threatened by the Waffen-SS. Hitler appeased them by insisting that the Waffen-SS divisions only operated under the command of the Wehrmacht and formed part of the various army corpses. Also Hitler forbid the founding of an SS-Corps and he ordered that the Waffen-SS would never be allowed to become larger than 5 to 10 percent of the army in peace time. In a secret decree of 6 August 1940, he declared that he did not view the Waffen-SS as an alternative army, which was feared by his generals, but as an armed state police which was able to defend and maintain the authority of the Reich in every situation. Hitler’s measures did not succeed in settling the unrest and the Wehrmacht continued to frustrate the development of the Waffen-SS by refusing to supply the desired number of men and weapons. The Wehrmacht was especially reluctant to provide heavy weapons and tanks. Because in an internal power struggle, they feared, this heavy material could become decisive. Himmler tried to avoid this boycott by agreeing a mutual commitment with Fritz Todt, Minister for munitions and armament. In exchange for weapon supplies Himmler promised to transfer part of the production of the quarries in the concentration camps and the building companies of the SS to the construction company of Todt [Organisation Todt]. Also Himmler would supply Todt with 20,000 Polish slave laborers. The mutual arrangement between Todt and Himmler was however cancelled after 6 weeks by the Wehrmacht generals. Part of a regiment composed of several companies. In theory a batallion consists of 500-1,000 men. Wilhelm Mohnke, commander of the Leibstandarte in Wormhout. The Wehrmacht acted reluctantly also at providing troops to the Waffen-SS. The Wehrmacht transferred only a small part of their volunteers and conscripts were not transferred at all to the Waffen-SS. Therefore Himmler decided to start recruiting his men abroad, where he met no competition from the Wehrmacht. The recruiting within the Waffen-SS was the responsibility of Gottlob Berger. He was a First World War veteran and a senior member of the NSDAP. Like Himmler he aspired to make the Waffen-SS into a mighty political army. From 1940, Berger was heading the SS-Hauptamt and recruiting men for the Waffen-SS was his main task. Under his reign the Waffen-SS grew impressively. In 1938 the SS-VT only consisted of 7,000 men. In 1944, the Waffen-SS counted 900,000 men. During the war all the time ethnic Germans, Aryan nationals like Dutch and Flemish and even non-Aryan nationals like Walloons and French, were deployed within the Waffen-SS. Himmler thus started to ignore his basic racial admission rules in order to be able to compensate for the heavy losses. The first recruiting was aimed at the Germanic elements in the occupied territories. Ethnic Germans, who could be employed in the Waffen-SS, lived in many Balkan countries, especially in Rumania. In first instance these ethnic Germans would fill in the empty places within the existing divisions but with the conquest of Scandinavia and the Low Countries a large amount of potential volunteers became available. The SS-Standarte “Nordland” was founded in April 1940 consisting of racially unblemished volunteers from Norway and Denmark. With the capture of The Netherlands and Belgium in May 1940, soon the SS-Standarte Westland was established which would consist of Dutch and Belgian volunteers. Together with the SS-Standarte Germania consisting of German volunteers, “Nordland” and Westland became part of the Division “Wiking” ( from November 1940 till 1941 SS-Division Germania). The SS-Division “Wiking” was commanded by German officers and non-commissioned officers and was one of the first of 22 divisions that were completely or partly manned by foreigners. The foreign volunteers were trained at Sennheim in the Alsace, where they, next to the military training also received a political indoctrination. In order to stimulate the recruiting of men, in all occupied countries in north and western Europe recruiting offices were established. The education or brainwashing of people, sometimes by force, to accept a certain opinion or political doctrine. This doctrine is to be followed henceforth without question. Gottlieb Berger, responsible for recruitment in the Waffen-SS. Flemish volunteers in training with an MG34 (source Wo2.nl Gallery) Bron: Wo2.nl Gallery. It appeared that there was an ambition to join the Waffen-SS in order to be able to fight bolshevism and the ‘inferior Slavonians’ from the east. Operation Barbarossa had been started on 22 June 1941, the German invasion of the Soviet Union. In the meantime the Waffen-SS consisted of 160,000 men and five divisions of the Waffen-SS which were joined to three army corpses were active at the front. The divisions were completely motorized but did not yet have a large quantity of tanks available. The lack of experience was still noticeable and especially Eicke’s SS-Totenkopf-Division suffered from important losses. His division was decimated in Russia and in October the last remaining men were withdrawn. During the summer of 1942 the SS-Totenkopf-Division was reconstructed into the SS-Panzer Grenadier Division Totenkopf. Many of the earlier camp guards had been killed. By a reorganization within the Waffen-SS, former camp guards were not only allocated to SS-Panzer Grenadier Division Totenkopf but also to other divisions. As not only the Totenkopf Division had suffered from heavy losses, but also other divisions needed replacements, the recruiting of (foreign) volunteers became increasingly important. Foreign volunteers that fought as part of the “Pan-Germanic” army in the SS-Division-Wiking. More nationalistic foreign volunteers that fought in their national legions like the SS-Freiwilligen-Legion-Flandern for the Flemish and the SS-Freiwillgen-Legion-Niederlande for the Dutch. In 1943 this distinction would disappear and the foreign legions would be assimilated within the Waffen-SS. Himmler, in the meantime, did not have any objections anymore to have “Romans” in the Waffen-SS. And so, a French and a Wallonian volunteer formation were included in the Waffen-SS. In spite of the fact that Himmler’s wishful “Pan-Germanic” army did not get off to a good start, still an estimated 132,000 to 166,000 foreign “Germanic” volunteers served in the Waffen-SS. A significant number of those only volunteered in 1944, when they were no longer safe in their home country as collaborators with the German occupying forces that were retreating. Many of those volunteers withdrew towards the end of the war from the Waffen-SS as they did not feel that they were treated correctly by their superiors or because they discovered that the battle they fought was not their fight but a battle for the ideals of nazi-Germany. Whilst plenty of volunteers were signed up in the Waffen-SS the SS divisions SS-Leibstandarte-Adolf Hitler, Das Reich, Totenkopf and Wiking were equipped with tanks and transformed into armored divisions [SS-Panzergrenadier-Divisionen]. From that moment onwards these divisions, which had been at the cradle of the development of the Waffen-SS, could be considered to be the elite troops of the Waffen-SS. The terminology ‘elite’ however suggests a certain exclusivity which was not maintained during the years of war. Also, the achievements of certain Wehrmacht divisions at the eastern front were well matched to those of the mentioned divisions of the Waffen-SS. It is probably more appropriate to call these divisions the looks of the Waffen-SS. Mainly psychologically they represented an elite corps by their presentation and their continuous presence. The original divisions fought battles at the most important, initial frontlines and caught therefore more attention than the ‘lesser’ divisions that fought at less centralized frontlines or were committed to a war with partisans for example in Yugoslavia. Many foreign Waffen-SS units were committed in their home country to fight their own country men. Poster for recruitment of Dutch volunteers. Poster for recruitment of Flemish volunteers. Bron: DHM. Poster for recruitment of French volunteers for the Waffen-SS. Bron: DHM. A unit that was committed often in 1942 to the battle with partisans was the SS- voluntary- mountaineer division [SS-Freiwilligen-Gebirgs-Division “Prinz Eugen”]. In north Serbia this division was responsible for the burning down of houses and of complete villages and for the execution of women and children. It is remarkable that the crimes of this division were so cruel that it received even a reprimand from the SS command. Also the SS-Polizei-Division was guilty of many crimes during the anti-partisan war in the Balkan, France and Italy. The SS-Freiwilligen-Gebirgs-Division “Prinz Eugen” and the SS-Polizei-Division were certainly not the only divisions that were guilty of crimes against innocent civilians, amongst whom were elderly citizens, women and children. Especially at the eastern front various Waffen-SS units committed serious offenses against humanity and war crimes. The Waffen-SS was involved with the activities of Einsatzgruppen at the east-front and was also charged with the destruction of the Jewish population; also outside of the organization of the Einsatzgruppen. The battle against bolshevism and the Slavic people was an ideological battle. The nazis considered the Slavonic people as inferior and bolshevism was subjected to the influence of Judaism according to them. The nazi-leaders therefore allowed the excessive use of violence. At the same time the Soviets did not recognize the Geneva Convention and therefore there was on either side of the front no question about respecting the laws of war. Another infamous example of a brutal Waffen-SS unit that committed several serious crimes was the SS-Sturmbrigade Dirlewanger, under the command of SS-Oberführer Dr. Oskar Dirlewanger. Dirwelanger had once been convicted of child molest and also his men were convicts. Thus SS-Sturmbrigade Dirlewanger consisted of criminals and ex prisoners from the SS-detention barracks. The unit was committed amongst other things to the war with partzans in Poland and White Russia. The mass murdering of civilians and the destruction of private property were of such seriousness that the nazi-leaders had the activities of this unit investigated. Dirlewanger however was not convicted and would be involved in the suppression of the Polish revolt in August 1944 in Warsaw. The Waffen-SS-Strumbrigade RONA* however even surpassed the unit of Dirlewanger in their cruelty. The unit had been founded in 1942 and consisted of Russians and Ukrainians that were committed to fight the partisans. When they were used to quench the Polish revolt in 1944, the troops behaved atrocious. They ransacked, tortured and raped Polish women on a massive scale. When they finally killed a German nurse, the SS-leaders acted and the unit was withdrawn from Warsaw. And even compared with SS standards the RONA were a bunch of villains. A further summing up of war crimes at the east-front does not suit the purpose of this article. It must be noted however that also the Wehrmacht committed war crimes at east-front war. For example: in White Russia 10,000 civilians were executed by the 707th Infantry division in the period of one month only. * RONA, The Russian National Liberation Army, = Russkaya Osvoboditelnaya Narodnaya Armiya. SS-Oberführer Dr. Oskar Dirlewanger, his division was responsible for a large number of war crimes. Waffen-SS troops watch the execution of a Ukrainian Jew by a member of a special commando group (Einsatzgruppe). Bron: USHMM. After the, for the German forces, destructive battle for Stalingrad in the winter of 1942 – 1943, the Red Army had entered into a large counterattack and the Soviets marched west. Hitler answered by engaging three of the original SS divisions: SS-Leibstandarte Adolf Hitler”, “Das Reich” and “Totenkopf”. They had just been re-equipped in the west and had at their disposal the latest tanks, armored vehicles and artillery weapons, amongst which the new middle sized Panther-tank and a modernized version of the heavy Tiger-tank. When two Soviet army corpses crossed the river Donets east of Charkov, Hitler declared this city to be a fortress [Festung] . This meant that the city had to be defended to their deaths. The town became however surrounded on the 16th of February and the SS divisions withdrew; in doing so they ignored an order from Hitler. Instead they joined the 4th armored army group of Generaloberst Hermann Hoth and returned against his orders to Charkow. After three days of heavy fighting they recaptured the city. In spite of the fact that they had disobeyed a direct order from Hitler followed by ignoring an order from general Hoth, Hitler forgave his SS troops and was full of prize for his courageous SS soldiers. After the defeat at Stalingrad the German forces at the eastern front suffered from ever greater losses. In the Soviet Union the Waffen-SS was employed at the front on various strategically critical areas and gained thereby a reputation of “the fire brigade of the east-front”. Also during the last big German offensive at the east-front in Koersk the Waffen-SS units were deployed in the centre of the fighting. Because very often the Waffen-SS was to be found in the very frontlines and in areas where the danger was highest, the respect for the Waffen-SS as a strong elite troop increased. Indeed, the Waffen-SS were an essential element during the battle for Koersk for example; they were not the only ones to fight. Also the Wehrmacht played an important part. Men of the SS-Panzergrenadier Division Totenkopf at the start of the Operation Zitadelle in Kursk. Between December 1942 and January 1944 12 new SS divisions were erected. In May 1940 the Waffen-SS consisted of 100,000 men, in the fall of 1942 this number had increased to 240,000. The growth continued and by the end of 1943 the organization was 500,000 strong and towards the end of 1944 the number had increased to 910,000, but by that time they were not only volunteers any more. The massiveness of the Waffen-SS dates back to the last part of the Second World War and in no way the idea of the Waffen-SS being an elite corps could still be maintained. The recruiting criteria and the training of the men during the last years of the war could not be compared to those of the earlier period of the Waffen-SS. Himmler continued recruiting and in order to get hold of more and more men also the principle of it being a volunteer army was affected. Although formally the Waffen-SS remained a volunteer army but members of the Allgemeine-SS were recruited with force and also the SS-Panzergrenadier-Division “Hitlerjugend”, which was founded in February 1943, was manned by members of the Hitler Youth that were mislead and recruited for the Waffen-SS. By recruitment under force and by misleading, the national socialistic motivation became more and more doubtful. Increasingly more of the men had little sympathy with the SS-doctrine. That certainly was also the case inside the foreign units which still increased in numbers. In Hungary, Yugoslavia and especially Rumania many ethnic Germans were recruited by the Waffen-SS. By joining the Waffen-SS they could comply with their compulsory military service and from the winter of 1943 all able ethnic Germans were called up to fulfill their military service. As a consequence about a quarter of all men in the Waffen-SS originated from the Balkan. During the years 1943 - 1944 most of the new troops consisted of ethnic Germans. This decreased the quality of the units as most of these men could not read or write German and they did not understand the German commands. And on top of that, these men were not very much prepared to risk their lives for Germany, this in contrast with a large part of the German volunteers in the German divisions. Although the enlisting of ‘non-Germanics’ in the Waffen-SS in the beginning was an enormous taboo, finally a period arrived that Himmler completely ignored his racial requirements and also admitted ‘non-Germanics’ from the Baltic states in his elite corps. In October 1942 already an Estonian SS-legion had been founded and in February 1943 the Lithuanian SS-Freiwilligen-Division was established. Nazi-philosopher Alfred Rosenberg even had described the Lithuanians as “largely racially inferior “ and the Lithuanians were according to him, ”to a large extend infiltrated by Russian groups of the population”. The volunteers from the Baltic States hoped, by fighting on the German side, to regain their independence and were therefore motivated in their battle against the Soviet Union. The performance of the Estonians and Lithuanians was good and were certainly not less than certain nationalistic [Reichsdeutsche] or [Volksdeutsche] divisions. This in contrary to, for example, the later on established White Russian divisions. Reichsdeutsche divisions that consisted mainly out of soldiers originating from the Reich. Volunteer divisions of mainly Volksdeutsche soldiers and foreigners that were considered to be Germanic. Divisions that consisted of men that were not considered to be Germanic and of which the majority was qualified as Waffen-Grenadier- Division der SS. Several divisions consisted however also of combinations of the various groupings. (Reichsdeutsche, Volksdeutsche, foreign ‘Germanics’ and foreign ‘non-Germanics’.) In principle only the Reichsdeutsche divisions could somewhat be considered to be elite troops, but by the heavy losses and the lack of experienced officers and non-commissioned officers also those divisions ran into problems. The training facilities of the Waffen-SS, mainly the Junkerschulen could not keep up with the losses and the growth of the organization and consequently more frequently the SS-officers followed courses at the Wehrmacht. Also several officers of the general staff of the Wehrmacht were transferred to command positions of the Waffen-SS, just like a fixed percentage of Wehrmacht recruits was assigned to the Waffen-SS. Especially within the Hitlerjugenddivision there was a serious lack of commanding personnel. Officers of the Wehrmacht that had been commander in the Hitlerjugend were therefore transferred to the Hitlerjugenddivision. The Waffen-SS was therefore not only in the war situation under the command of the Wehrmacht but also in other circumstances depending on the Wehrmacht. The lack of officers in the non-German divisions was even bigger because the foreigners served voluntarily in the Waffen-SS and were not prepared to be promoted. In the meantime access was allowed to ‘non-Germanic’ volunteers and till the end of the war also White-Russians, Russian Muslims and Kazaks were incorporated in the Waffen-SS. Already from the spring of 1943 Himmler had started to develop an SS-division for Bosnian Muslims. Himmler could benefit from an age old war between Christians and Muslims in Bosnia-Herzegovina and by the supplying of weapons the Bosnian Muslims could continue their own fight. In March 1943 the Croatian SS volunteer division had been founded, which would grow into the 13th mountaineer division [13. Waffen-Gebirgs-Divison der SS-Handschar] (Also Kroatische Nr 1.) . In the autumn of 1944 a large number of men deserted because the Wehrmacht withdrew from Bosnia. With this message “Join us”, members of the Hitler Youth were recruited for the Waffen-SS. Muslim leader Haji Amin al Husseini inspects the Bosnian Muslims of the Waffen-SS. Bron: USHMM. After the german defeat at Stalingrad the battle at the eastern front had been decided. Although the German troops and their allies continued to fight hard at the east front and the Waffen-SS was heavily involved but the Soviet army marched further and further to the west in the direction of the Reich. On the western front however the battle still had to commence. 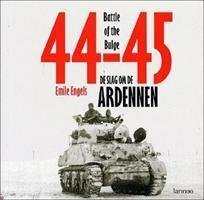 Hitler suspected an allied offensive in the west and after order 51 (Weisung nr. 51) the main weight of the war was shifted towards the west. Hitler started from the presumption that he could concentrate on the war at east front after he had beaten the troops in the west. The 1. SS-Panzer-Division LSSAH, the 2. Panzer-Division “Das Reich”, the 12. SS-Panzer-Division “Hitlerjugend” and the 17. SS-Panzergrenadier-Division “Götz” von Berlichingen were positioned in the west. These battle-ready armored divisions represented the Waffen-SS and belonged to the best battle groups of the German army. On 6th June 1944, the allied forces landed at Normandy which was against the expectations of the German supreme command which had expected the allied attack to take place at Calais. Only the 12. SS-Panzer-Division “Hitlerjugend” could immediately answer to the invasion and only from July the Waffen-SS played a crucial part in Normandy. In July 10 tank divisions battled in Normandy and 6 of them belonged to the Waffen-SS. Also at the western front war crimes were committed by the Waffen-SS, although to a lesser extend compared with the east front. The 12. SS-Panzer-Division “Hitlerjugend” was responsible for killing a number of prisoners of war and it is possible that they had received an order to make no prisoners or at least as few as possible. In spite of the resistance from the Germans the allies achieved more successes and succeeded to liberate an increasing part of France. The French resistance movement started to act in an ever increasing number of places and supported the allied advances. The Germans took rigorous measures against the resistance and committed various crimes in doing so. It is not correct to say that it was only the Waffen-SS that was responsible for these crimes, the reaction by Wehrmacht also was not without committing crimes, but the Waffen-SS appeared more in the foreground in doing so. The 12. SS-Panzer-Division Hitlerjugend executed 86 inhabitants of a village near Lille on the 2nd of April because shots had been fired at a freight train of their division. A unit of the 2. SS-Panzer-Division Das Reich committed such a cruel act in the French village Oradour Sur Glane that this is still used as an example in order to illustrate the criminality of the Waffen-SS up till today. As a reprisal for the kidnapping of an SS-Sturmbannführer and other resistance activities in this village 190 men were executed and 245 women and 207 children were locked into a church building and burnt alive as ordered by SS-Sturmbannführer Adolf Diekman. On 20 July 1944, an attempt was made on Hitler in the Wolfsschanze, his headquarters in East Prussia. The attack was supported by various high ranking officers of the Wehrmacht, but the SS was not involved. A coup d’état or murder attempt by the SS, the corps that had been faithful to Hitler from the very beginning and also was still responsible for his safety, was still unthinkable at that moment. Whilst the secret state police [Gestapo] arrested the conspirators and punished them on an unimaginable cruel way, Hitler lost his faith in the Wehrmacht. This was at the advantage of the Waffen-SS as Hitler could count on the dedication of his troops. For the first time an SS-General (Paul Haussner) was nominated as commander of an army and was even proposed as the successor of Erwin Rommel, the supreme commander of Army Group B [Armeegruppe B] However he did not obtain this position as this proposal was obstructed by the Wehrmacht. Next to that Himmler was nominated to become the chief of the reserve forces and a few thousand men of the air force and navy were transferred to the Waffen-SS. Next to these ‘awards’ a higher percentage of conscripts were allocated to the Waffen-SS. The destroyed main street of Ouradour sur Glane. Bron: DHM. Whilst Hitler lost more and more confidence in the Wehrmacht, the allies in the meantime had booked lots of successes at the western front. The British Field Marshall Bernard Montgomery proposed the plan to advance from the southern border of The Netherlands up to north of Arnhem and to cross at that place the German border and to penetrate further into Germany. The SS armored division under the command of the SS-Obergruppenführer Willi Bittrich could prevent that the British 1st Airborne could hold the bridgehead in Arnhem and occupy the traffic bridge across the river Rhine. Operation Market Garden had failed, but the allied advances towards Germany could soon be restarted. It is remarkable that the Waffen-SS, infamous for its ruthlessness, showed some humanity and compassion versus the Brits in Arnhem. When a British army doctor requested Bittrich to have 2,200 wounded taken care of before the battle was over, this request was granted. The British wounded were looked after by medical personnel of the 9th SS-armored division “Hohenstaufen”. A last attempt by Hitler to change the tides at the western front, took place in the winter of 1944 – 1945 by means of Operation “Wacht am Rhein”. From the Ardennes the German troops advanced with the purpose to take the port of Antwerp. A special task was reserved for the 6th armored division under the command of SS-Oberstgruppenführer Joseph Dietrich which had to figure as spearhead and had to take Antwerp with four divisions. Both I SS-armored batallion as well as II SS-armored batallion formed part of the 6th armored army group. During the offensive in the Ardennes, the troops of the Waffen-SS were responsible for several war crimes. The execution of 83 American prisoners of war on 17 December, 1944, in Baugnez, close to Malmedy, by soldiers of the battle group [Kampfgruppe] Peiper had a big influence on the image of the Waffen-SS with the western allies. From that moment onwards the SS was feared and even more than before considered being a criminal organization. The Americans applied the Convention of Geneva less strictly when they faced surrendering SS troops. The proposed targets of operation “Wacht am Rhein” were not achieved and the “battle of the bulge” ended. The German army walked on its last feet. In January 1945 the Red Army broke through the weakened German defenses, crossed the river Weichsel and thereafter, on 31 January 1945, the river Oder. The Soviet troops were only 80 kilometers away from the German capital. The Waffen-SS was committed to a number of hopeless battles. The seriously weakened 6th armored division was sent to Hungary where Budapest was surrounded by the Red Army towards the end of December, 1944. The scratch collection Waffen-SS troops assisted by Hungarian units had to give up the defenses of the city 0n 13 February. It was estimated that approximately 22,000 soldiers tried to escape to the west in order to avoid being captured by the Soviets. Only 700 of them could reach their own lines, approximately 19,000 got killed. Many Waffen-SS troops were executed immediately as reprisal for their misbehaving at the eastern front. Especially many Russian volunteers underwent this fate. Collective name for four treaties that were drawn up in Geneva to determine the rules for times of war as part of international law. These treaties dealt with issues such as the treatment of prisoners of war and wounded soldiers, the acknowledgement of the Red Cross as protected organisation in times of war, the rules of law concerning the war at sea and protection of prisoners of war and civilians in wartime. An American soldier observes the victims of the massacre of Baugnez. Shortly after the capitulation of Budapest the last big German offensive took place under the code name Frühlingserwachen [Meaning so much as “Spring-awakening”]. The purpose was to stop the Soviet armies east of the Lake Balaton in Hungary on their march towards the west. The Waffen-SS was involved with 8 divisions. The German troops did not advance more than 20 kilometers. The German army was so much weakened that it could not achieve a thing against the Red Army which had a devastating majority in manpower. Although Hitler, as usual, ordered to keep their positions at all cost, his troops gave up. Also the Waffen-SS did not volunteer to be cut to pieces. Hitler was outraged and felt betrayed now as also his most trusted soldiers appeared to be no longer prepared to follow his orders blindly. After the retreat of the German troops, the Red Army could advance to Vienna which was captured on 14 April. Hitler, in the meantime, had found refuge in the bunker complex called the ‘Führerbunker’ together with his staff and trustees. On April 16th the Soviets launched the attack on Berlin and on 25 April they had surrounded the city completely. Old men from a sort of National Guard called ‘Volkssturm’, kids from the Hitler youth and various scratched up troops, amongst which there were also Waffen-SS units, were applied to defend Berlin. Never mind how desperate his armies were, Hitler still cherished hope that Germany could win the war. All his hopes were based on the troops of SS-Oberstgruppenführer und General der Waffen-SS Felix Steiner who had to relieve the city. Steiner however did not intend to order his weakened troops to attack. Probably this proved to Hitler that next to the Wehrmacht he could also no longer rely on the Waffen-SS. In the meantime, SS-chief Heinrich Himmler had wanted to open negotiations with the western allies, without involvement of the Führer. Hitler felt betrayed and lost his courage. On 30 April Hitler committed suicide, two days later the battle for Berlin ended. On 7 May, 1945, the war in Europe ended with General Alfred Jodl signing the capitulation. At the same time the Waffen-SS ceased to exist and during the court trials of Neurenberg the organization was earmarked to be a criminal organization. Discussions started about the character of the Waffen-SS with the main question being how the Waffen-SS distinguished itself from the Wehrmacht. In order to defend themselves against criticism, former members established an “organization for mutual assistance for soldiers of the former Waffen-SS” [Hilfsgemeinschaft auf Gegenseitigkeit der Soldaten der ehemaligen Waffen-SS (HIAG)]. This organization took the point of view that Waffen-SS soldiers were not different from other soldiers. According to their spokesmen they were not involved in war crimes, the concentration camps and other terrorism. Although this point of view certainly was applicable to certain Waffen-SS troops and others will have experienced their position in the same way, it is not correct to state that all Waffen-SS troops were ordinary soldiers. The soldiers fought in a war that was closely related to the doctrine and terror of the nazis. The Waffen-SS is, according to our present day international norms and values, earmarked as a criminal organization and correctly so. General of the Waffen-SS Felix Steiner, the man who was supposed to recapture Berlin. Several members of the Waffen-SS were guilty of war crimes or crimes against humanity. The destructive battle against partisans, the horrible reprisals on the civilian population and the numerous executions of prisoners of war are examples of crimes committed during its battle against internal and external enemies of the Reich. There was also a direct link between the Waffen-SS and the concentration camps and other means of terror. Waffen-SS troops were not only individually used in the special commando groups [Einsatzgruppe] (execution platoons) but certain Waffen-SS units were collectively used as support for the special commando groups. The Waffen-SS also carried out murder raids on ‘unwanted’ minorities without being connected to any special commando group. The connection between the Waffen-SS and the concentration camps can be demonstrated very clearly by the example of the 3rd armored division “Totenkopf” which was established from the battle-ready members of the Totenkopfverbände which consisted of concentration camp guards. Finally the Totenkopfverbände would become officially a part of the Waffen-SS. But the exchange of men between Waffen-SS and the Totenkopfverbände was mutual as the SS-troops could also be allocated as guards in the concentration camps. Also wounded Waffen-SS members could be charged with guard duties in the concentration camps. The infamous camp doctor Josef Mengele for example received several wounds at the eastern front and was consequently appointed camp doctor in Auschwitz. For the front soldiers an appointment as camp guard usually was a pleasant period of relaxation and light duties. The working environment of the guards could in no way be compared with the uncomfortable and dangerous circumstances they had to endure at the front. Although there are numerous facts that demonstrate that the Waffen-SS was guilty of various crimes, it would not be correct to state that every Waffen-SS member was a criminal. The Waffen-SS was a very heterogeneous organization in which in 1945 some 800,000 men were active. Certainly not every unit or individual was guilty of war crimes or crimes against humanity. Every unit and every individual therefore ought to be studied to arrive at an objective judgment. In order to judge the question whether a soldier in the Waffen-SS was either “correct” or “wrong” it is of great importance to put oneself in the time and place and the motivation of men to join that political army. In most cases the expansion of the Third Reich and the spreading of the national socialistic doctrine was not the motivation for the larger part of the foreign volunteers to join the Waffen-SS. Frequently the fear for the “advancing bolshevism” or a national struggle for independence was the most important motivation to fight on the side of the nazis. Also the coercion of their surroundings (for example the parents or propaganda) and the passion for adventure may have been reasons for someone to join the Waffen-SS. It may be clear however that each and every member of the Waffen-SS has contributed to the horrors that have been brought upon Europe by nazi-Germany. With today’s knowledge it is easy to condemn the national socialistic regime. We will have to realize however, that in those days not every Waffen-SS soldier was aware of the criminal character of the regime he supported. Summarizing it may be stated that the Waffen-SS was a crucial participant of the nazi-regime and that the organization has played an important part in the terror this system has caused. Just like the whole of the SS, the Waffen-SS was therefore a criminal organization To characterize therefore each and every member of the Waffen-SS to be “wrong” and criminal is not correct. In order to reach such condemnation every individual should be judged to achieve an objective and honest conclusion. Neither can we state that every allied soldier or resistance fighter was a hero, nor can it be said that every Waffen-SS member was a ruthless murderer and war criminal.